Put on your helmet and armor, and grab your diamond sword. Then jump aboard the minecart and journey through the Nether Portal. Dodge the baby zombie pigman and the dangerous small magma cube and avoid the falling lava as you travel through this fiery landscape. Battle the ferocious, flying blaze and the fireball shooting ghast and mine light-emitting glowstone. Get ready for action! 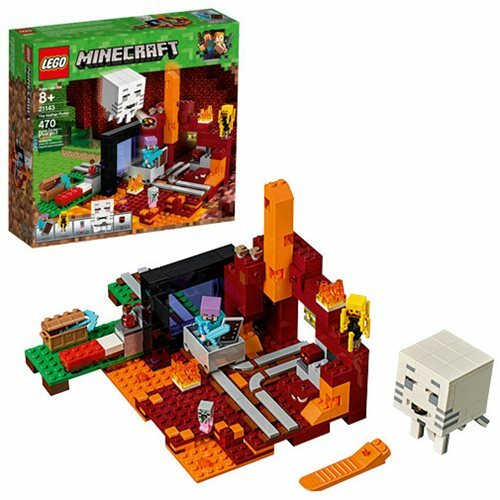 The LEGO Minecraft Creative Adventures 21143 The Nether Portal includes 470 pieces. Ages 8 and up.